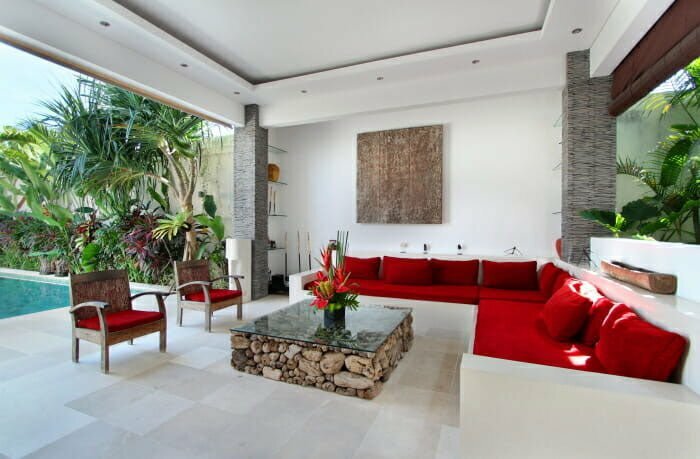 Do you want to treat your family or friends with holiday accommodation unveiling tropical ambiance? 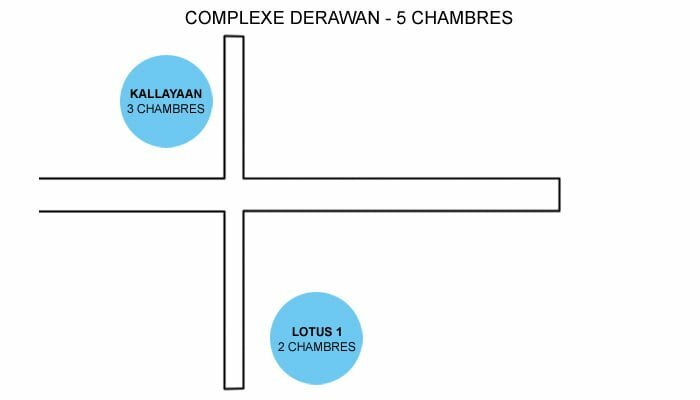 If so, then welcome to our complex, the Derawan Villa Complex. This is a perfect holiday spot ideal for groups or families. 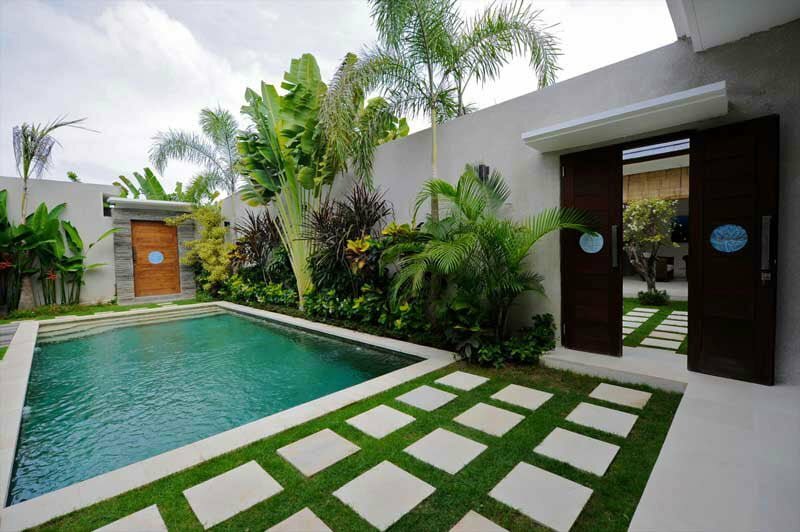 Our complex is made up of two villas: villa Kalayaan and villa Lotus. 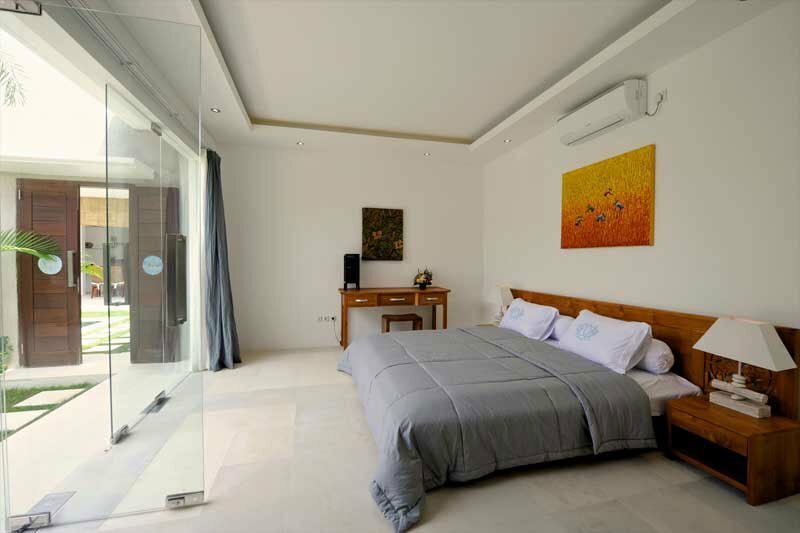 This five-bedroom facility is located in a trendy area of Seminyak and it is about 30 minutes from Ngurah Rai International Airport by car. Boutiques, restaurants, and bars at Oberoi Street are only a few strolls away! 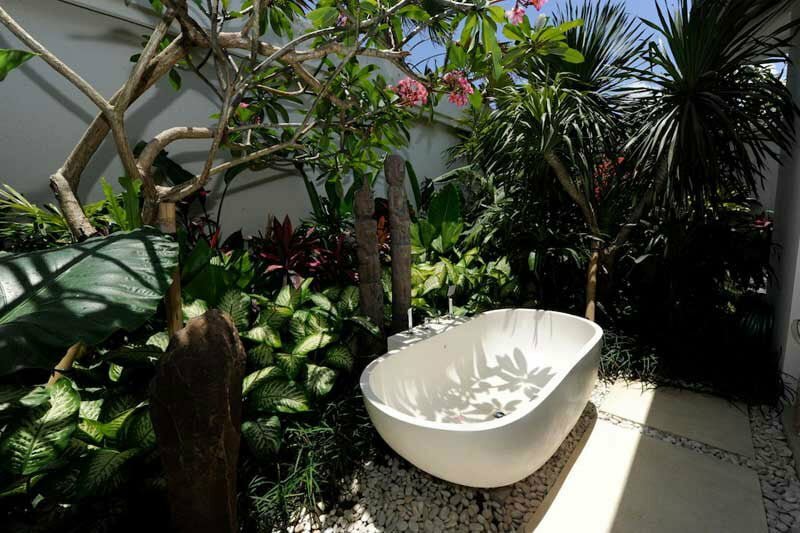 Our complex is known for peace and tranquility and the same is manifested right from outdoors. 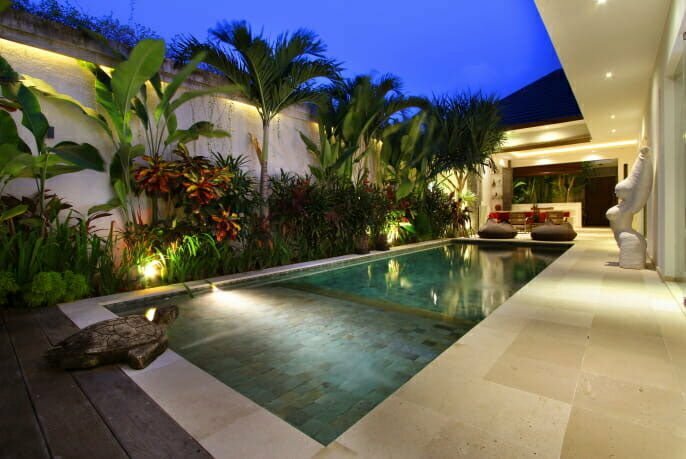 The settings outside is calm and the air fresh having flown through tall palm trees. The grass lawn is well manicured and it is an ideal place for kids to play around chasing their balls. Guests who love swimming have their day at our swimming pool. 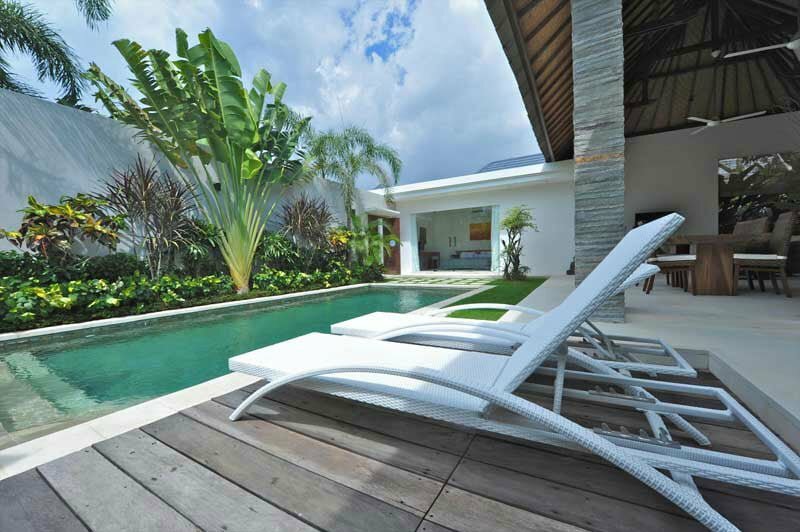 The large pool is perfect for swim laps, water splash, and other conventional watersports. Whether you want to chill out, read your favorite book, or watch your kids while playing in the pool, the gazebo, located on one edge of the pool is the place to be. 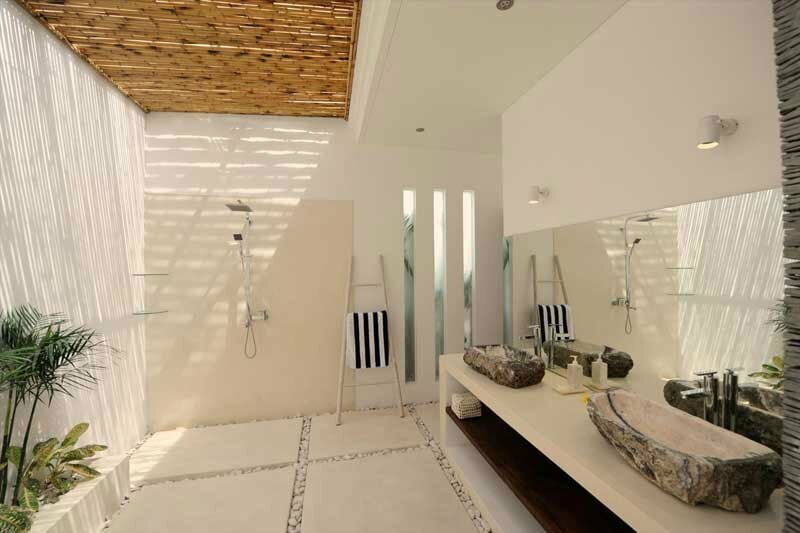 There are several sunbeds alongside the pool deck for swimmers or guests to indulge in sunbathing, massage sessions, or soaking up. 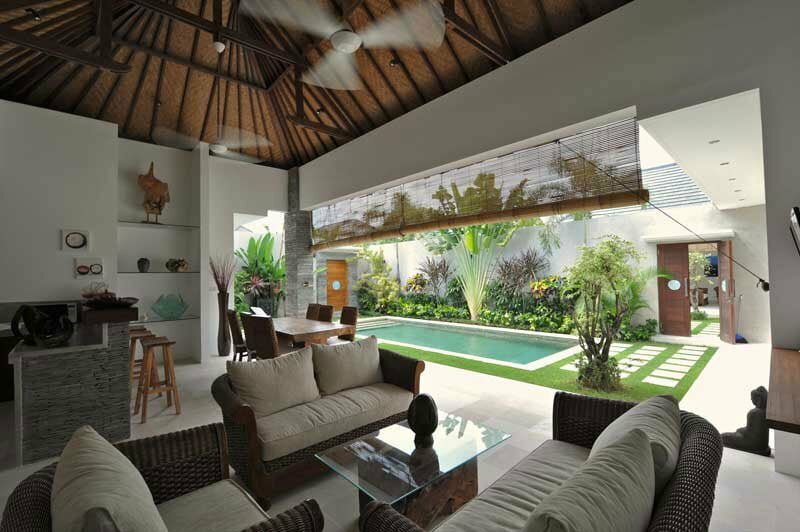 Just like many Bali complexes, Derawan Villa Complex’s villas have individual living areas. 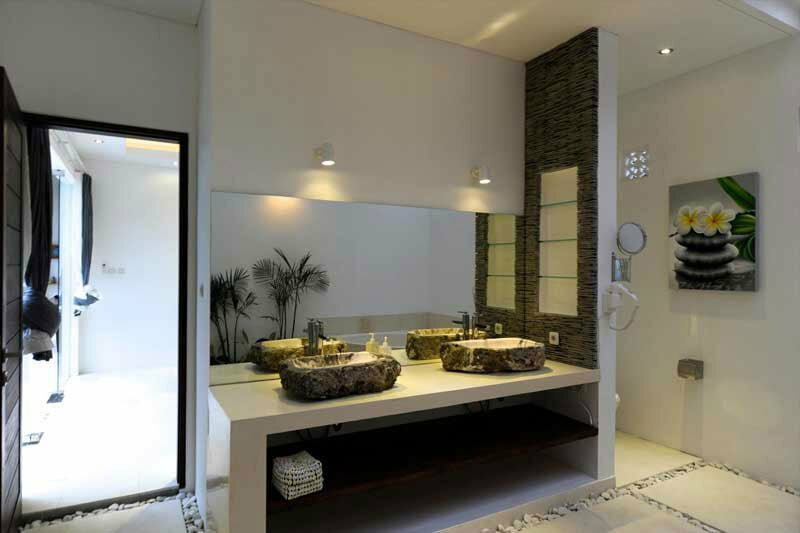 However, the feature identical amenities and facilities. 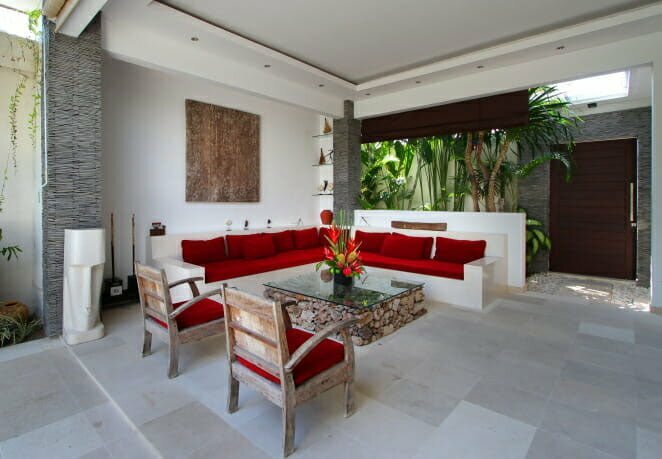 In a nutshell, the living areas include L-shaped comfy sofas and small tables facing a flat screen television. 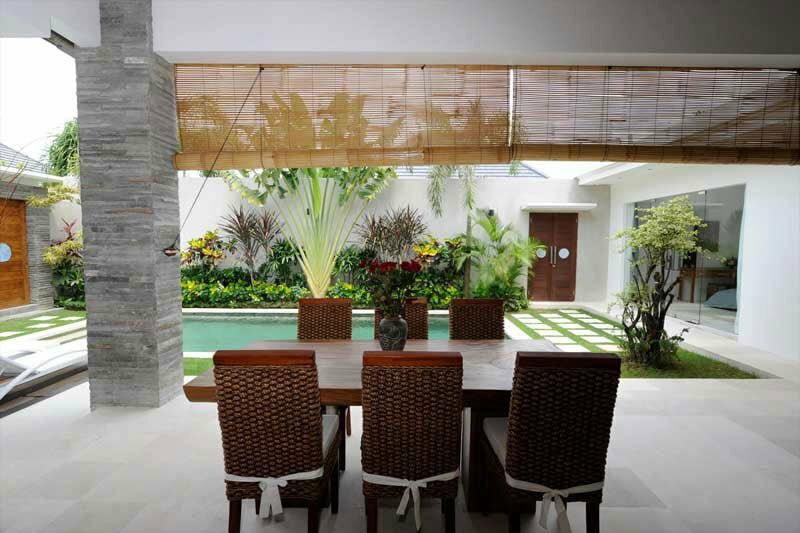 Inside the living room is a small kitchen fitted with a teak dining table and surrounded by six armchairs for sumptuous family or friends dining experience. Meals are prepared at the living room’s fully furnished kitchen area. 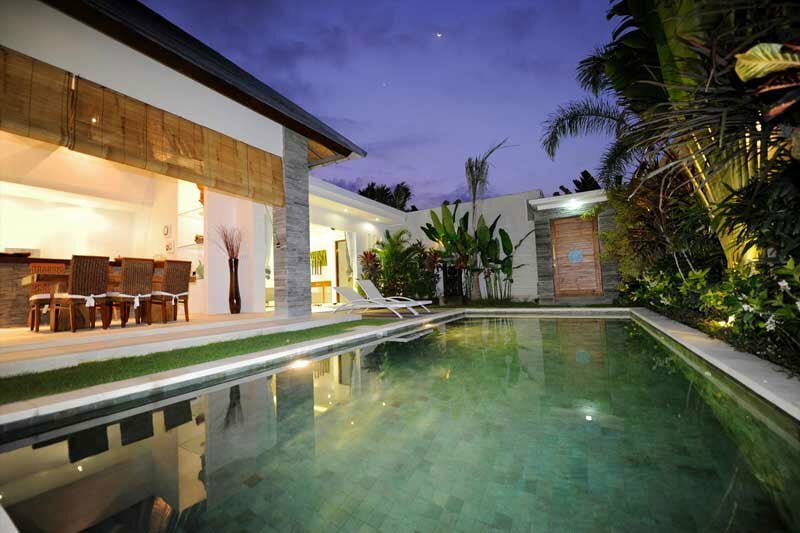 Villa Kallayaan is an elegant and sober accommodation spot where exotic and modern architecture is harmoniously blended. 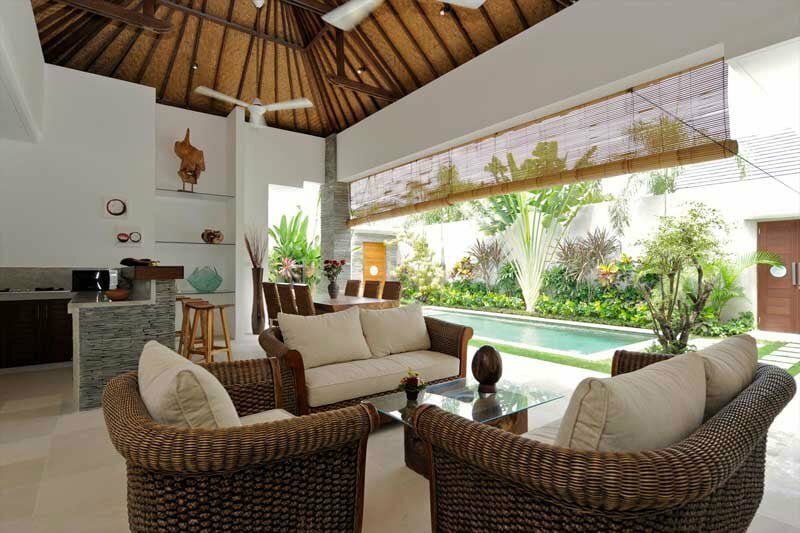 This villa has three bedrooms, two master suites, and one guest room. 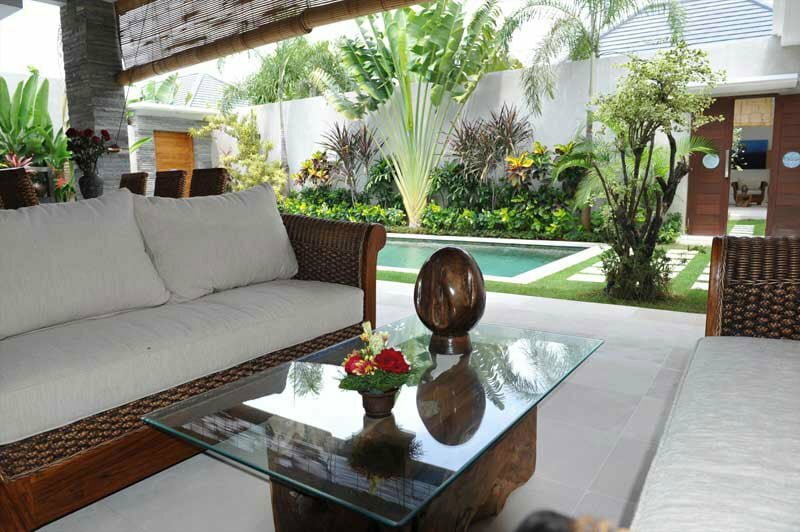 They are, however, all air-conditioned and feature a flat-screen LCD television. 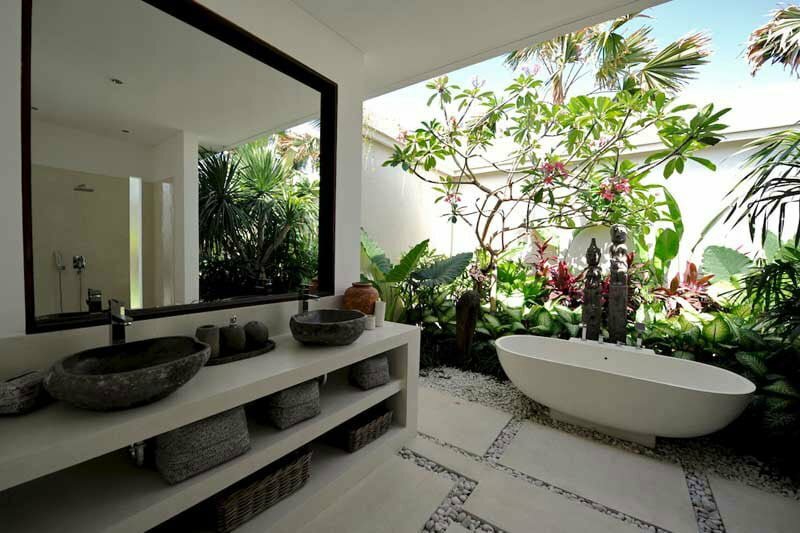 The master suites have en-suite bathrooms and attractive terrazzo bathtub with king-size bed. 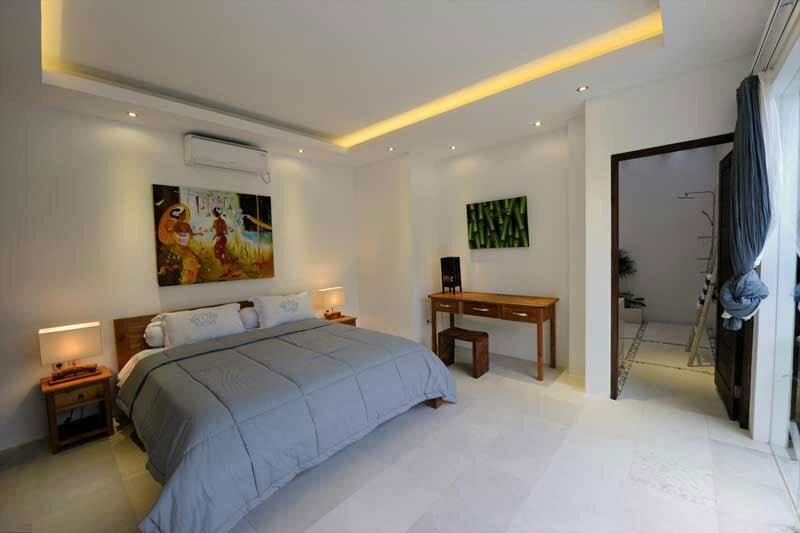 The other room has a double bed, semi-open bathroom, LCD TV, and Wi-Fi internet. 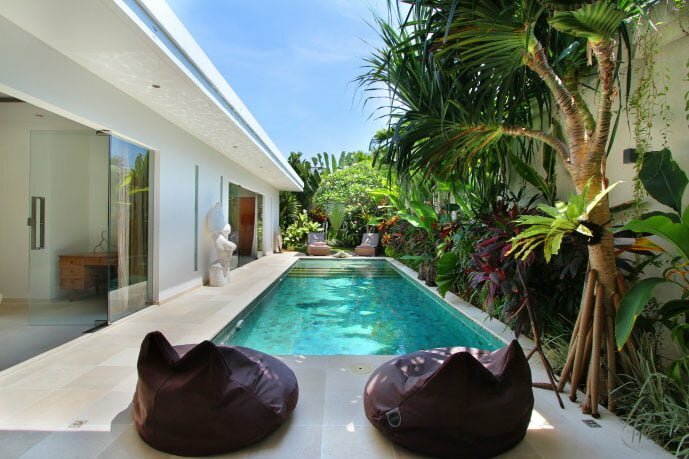 Just like its counterpart, this villa both of its rooms air-conditioned. 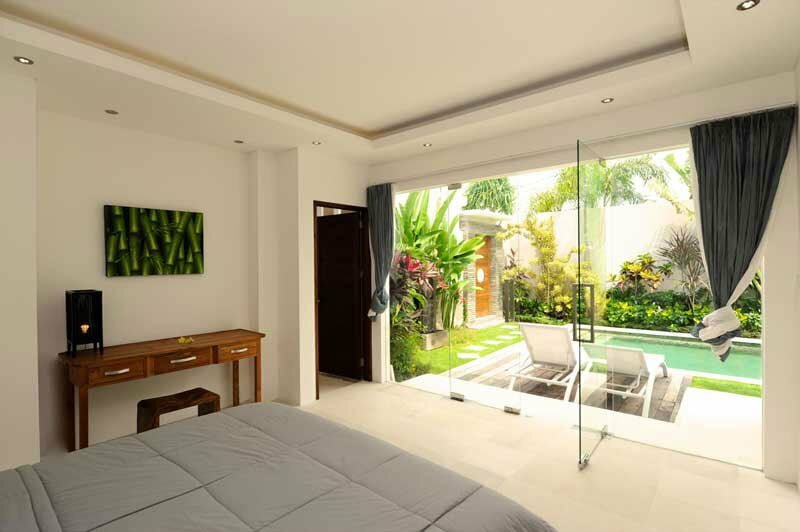 These bedrooms are arranged on to face each other on the villa so each room overlooks the complex garden and the pool area. 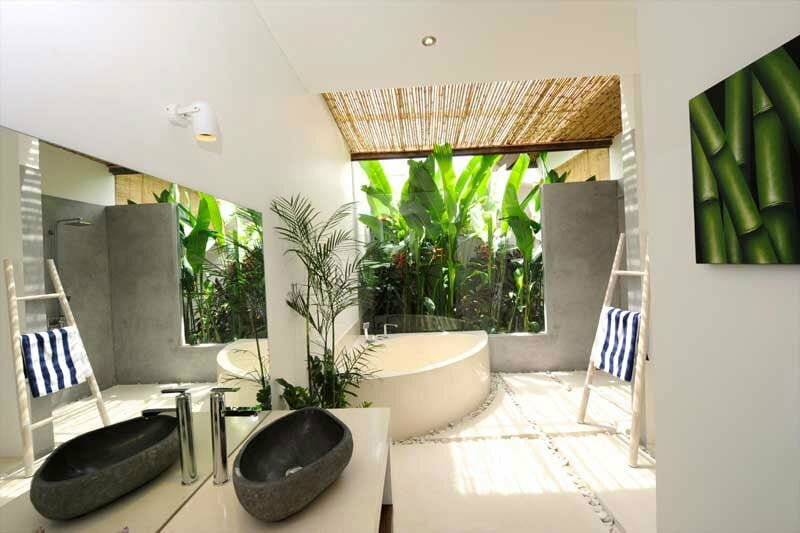 They both have a private bathroom complete with free toiletries. Over the years, we have been leading in offering our guests the best hospitality services. We managed to gain this reputation to our dedicated and hardworking team. 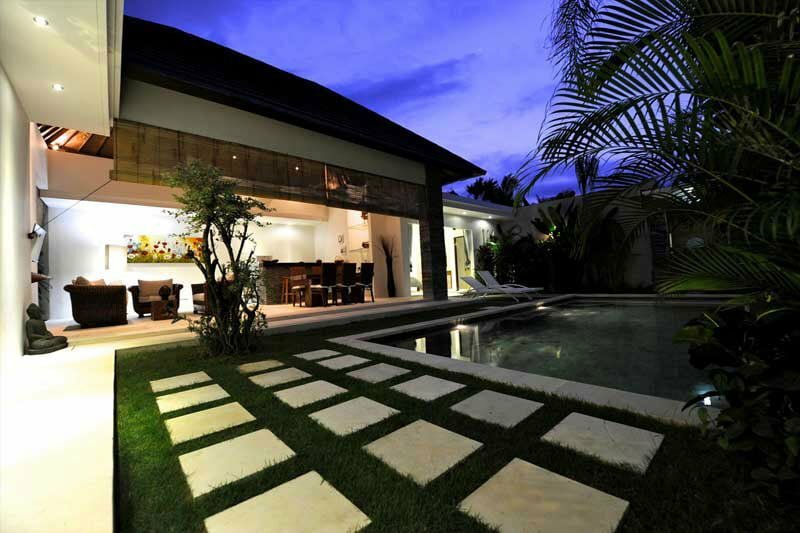 Our staff includes a villa manager, private chef, housekeeper, security guard, and housekeeper. 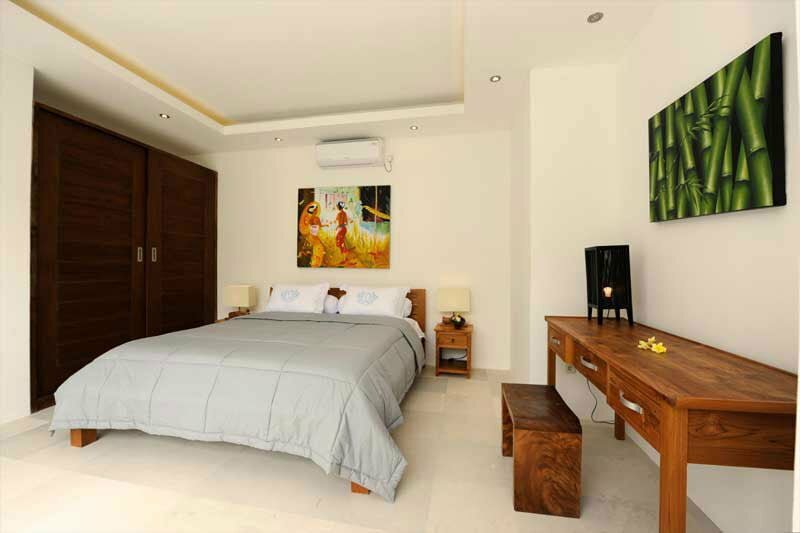 Some of the five-star services offered at Derawan Villa Complex include housekeeping, babysitting, airport transfers, day tour, spa & massage service, laundry/pressing, food delivery, car/motorbike rentals, and in-house catering. Any other hospitality service not stated herein may be offered upon request.